The post of my whole blog that has the highest page visits is the ones about my kitchen renovations. It is one of my very early posts and I've been meaning to write this post since then! 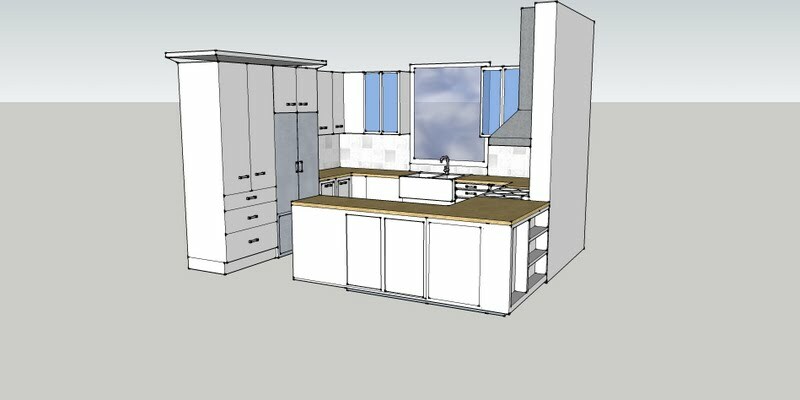 I wanted to share how I designed and built a $45,000 kitchen for around $17,000 and also to share what I learnt in the process. Now I know that $17K is still a lot of money but this is our forever house, we started out with a kitchen that was terrible and needed completely gutting - the floor was n't level and was just packed dirt with lino over it, also we both love cooking and cooking together and the price is great for what we ended up with and not for a completely new kitchen. When we were commencing our kitchen renovations two years ago, I poured over home magazines, blogs and cruised around Sydney's kitchen shops getting ideas for months. I had three different kitchen companies come in to assess the space and provide quotes but for what I wanted, the quotes all came in between $40,000 and $45,000 and I couldn't bring myself to spend that amount of money. I decided that I knew what I wanted, how we used the kitchen and what we needed so I would design my own kitchen and that would eliminate the need for a kitchen designer. You know I love the whole concept of DIY. 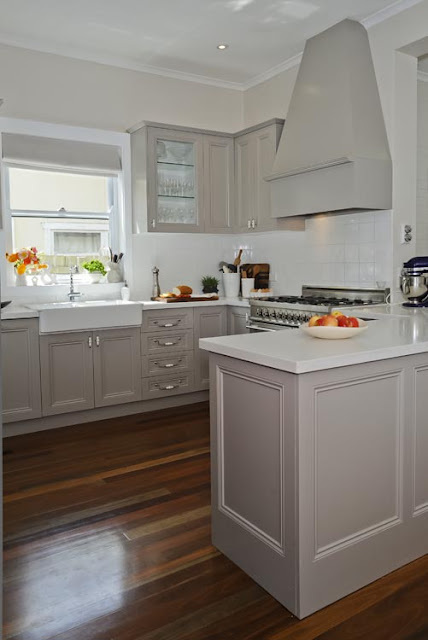 I have since had several builders, kitchen company people and even magazine people tell me that my kitchen is worth $40,000 so hopefully I can save you some money also if you are planning a new kitchen. Using Microsoft Visio and Google SketchUp, I was able to develop very good detailed plans that we were able to build from. Using these two tools I was also able to move around cabinetry to get the best layout for the available space and be able to virtually walk around the new kitchen (via Google SketchUp) and see how it would look like and be to work in. French style is often very symmetrical so I moved the window over slightly to be centred in the room as much as possible and made the upper wall cabinets symmetrical around the new window. I measured my space in all directions about 5 different times to be absolutely accurate - you really need to be millimetre perfect. 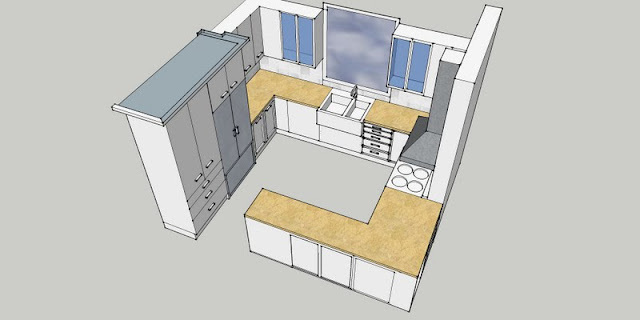 I was also knocking out a wall and extending the kitchen cabinetry into what was the dining room to make the kitchen 300mm bigger (as you can see on the left hand side of the above plans. This has made a big difference to the cabinetry either side of the stove and the fridge and is such a small amount to lose from the dining room (that is now open to the kitchen anyway). One thing I learnt during the build process was to measure at different heights up your walls. The walls in our 90 year old house are not plumb and the wall cabinets needed to be shorter than the base cabinets along the side wall (the wall is about 3 cm out of plumb). I then measured my appliances and worked out the allowances I would need around those items also. 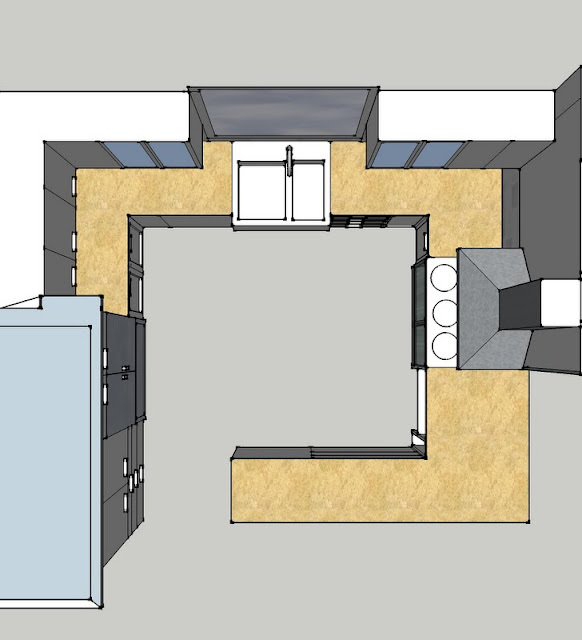 I looked into IKEA kitchens but because I was fitting the kitchen into a room with 3 sides I needed a bespoke kitchen to make the most of the room. in the end, by using a cabinet maker I was able to build my French kitchen for just over $17,000. I costs a similar kitchen size using IKEA cabinetry and bench tops and it was around $13,000 so for me I preferred spending the extra money and having something that made the most of the space without filler spaces and also that was of a better quality and longer lasting. 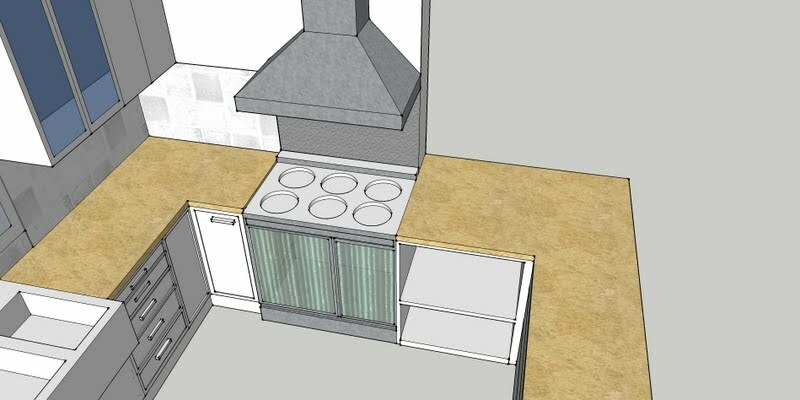 I also contemplated building my own cabinetry and had it costed by two different flat pack kitchen places but the cabinetry costs alone (un-constructed and not even including delivery) were around $12,000 and then the stone benchtop would have been several more thousand on top of this. I would then have had to build the cabinetry which can be tricky and time consuming especially when your walls aren't plumb. In the end we ended up doing the kitchen as part of a much larger renovation and we bricked up a doorway, pulled down a wall and inserted a steel beam as well as built a new floor (joists and floorboards) so I used my builder's cabinet maker who did a beautiful job and it all cost not much more then it would cost. I did the initial plans in Visio (above) and then drew them in Google Sketch Up which is a fantastic free tool. 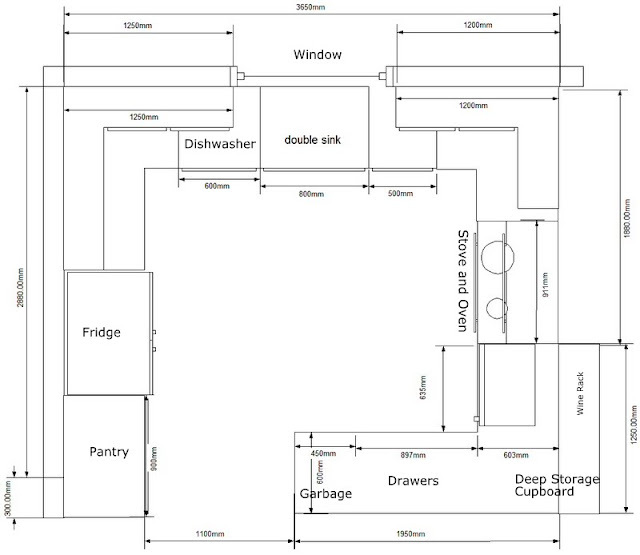 (Download here) Even though this took several hours I found this to be very useful especially showing the plans to my husband and also the cabinet maker who hadn't built a kitchen in a French style before. I have included some 2 dimensional snap shots of the 3D model below. If you are interested in having a copy of my 3D model then feel free to email me or leave a comment below with your email address and I can send you a copy. Once I was happy with my plans I had a meeting with my builder ( the delightful Barry from Serenity Constructions) and the cabinet maker he uses. Reba, his cabinet maker has a factory out in the western suburbs and is a delightful hardworking man with beautiful quality and craftsmanship... and wow he prices his cabinetry reasonably. I would definitely recommend finding a cabinet maker to give you a quote rather than using one of the bigger well known Kitchen Companies. Especially if you have an eye for design and space and know what you want. To achieve the French look that I wanted, I knew I wanted hand painted cabinetry so I had the doors made from MDF. I don't see any point building cabinetry from wood that you are just going to paint over. Wood cabinetry for a kitchen this size would have cost $4000 more than using MDF. With wood there is also the chance that it will warp overtime. MDF doesn't ever warp. Great news. The cabinetry doors were sourced through Sydney Doors. This is a very economical way to buy moulded (or plain) doors. If you have an existing kitchen that is okay but you want to update the look then you can always just replace the doors of your cabinets. My door profile is code number 6009 XSQ. When designing a kitchen it is always good to think about where you will store your appliances. Are you someone who likes to leave your mixer, kettle and toaster etc out for easy access or do you like a clear bench top? I am someone who likes everyday items out on the bench. I find that if my mixer and food processor aren't out then I don't use them. When planning my kitchen, I made a little nook next to the fridge so that I could store my coffee machine, toaster, kettle and food processor there on the bench but out of sight from most of the dining room and kitchen. I wanted a good pantry as we like to store a quantity of dry goods. We bake and make a lot of food from "scratch" and I've got a wonderful collection of Tupperware (I won them years ago) so I built the pantry specifically around my Tupperware collection. Sad I know but so so practical especially in combating the Pantry Moth that is prevalent in Sydney. The best thing about using plastic containers to store your food though is the neatness factor. You can find everything at a glance, things stay fresher longer and you can easily see what you need to go shopping for. The first two drawers below the pantry were built to easily store cans and other packaged goods (that are not kept in Tupperware). I love these drawers, and I especially love how I can see everything at a glance and don't have to delve back into deep cupboards. The porcelain and nickel handles I have used are pretty expensive but I managed to buy them wholesale which saved an absolute fortune. I bought them from a very expensive kitchen company (that since has gone out of business) and I'm not exactly sure why the guy gave me such a good deal but it meant that for my whole kitchen I paid just $400 for the handles instead of the retail price of over $1000. My suggestions is always shop around and negotiate. Crown moulding is another way to really jazz up your cabinetry. It is not expensive to add to your cabinets but I think it really finishes of the kitchen. The other feature in my kitchen is the rangehood. My builder and I just made this out of MDF. It's basically a box that houses the actual ILVE rangehood and then a chimney that houses the exhaust pipe. It was very simple to build. If you have any questions on how I designed my kitchen, how to save money or what products I used, feel free to leave a comment below. 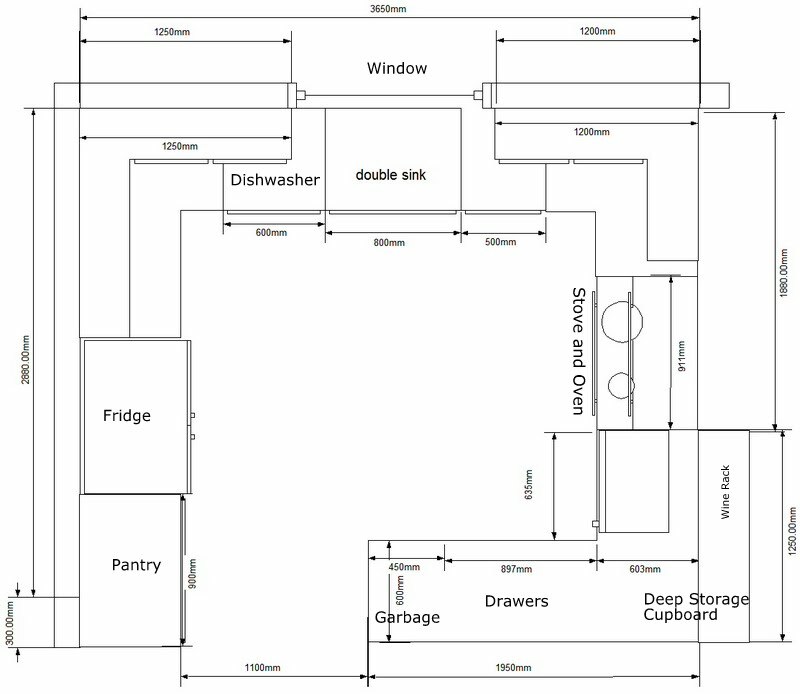 I'll do another kitchen post soon on what I learnt by planning and building a kitchen. I have to say I put so much thought and effort into this kitchen - lots of late nights and research and two and a half years down the track I still would not change a single thing so I think that's pretty good. Photo Credit: Photos number 1,4,8, 12 and 19 were taken for the Country Home Ideas Magazine shoot. Thanks Tony! Fiona, I am dying with envy over such a beautiful space to work in. Wow you certainly did a great job! Well done. Your attention to detail is evident and paid off. I just love it all. And that pantry is fabulous. thanks Kellie, the pantry and what it stores is wonderful! I am really happy with how it turned out. thanks Tina, the stove/oven is a Bertazzoni - -It's really lovely and I was able to buy this as floor stock for half price. love a bargain. hi Fiona, this is fabulous! I love how close your 3D models are to the real thing. 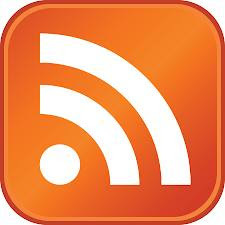 What a great tool. Is it hard to use? I'll have to give it a try. 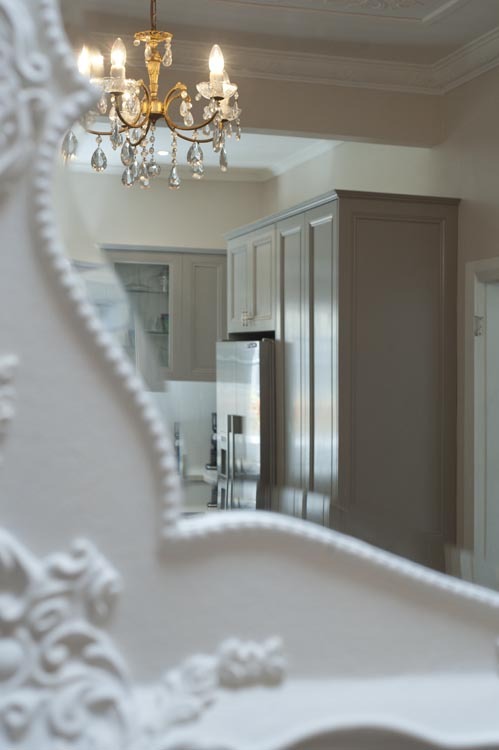 I love all the details you have used to give this kitchen a French Provincial feel. it's very open and lovely. Lucky you. Thanks Jennifer, Google Sketch up takes some getting used to but the tutorials are very good and i think it's worth the effort. You just create squares then push and pull them to create cabinets. It's free software so just give it a try. Kitchen is nice but it is about as far removed from French as possible. I seriously doubt if you have ever seen a French kitchen or even a resemblance of such in a decor book. Why would you write such a thing? Thanks Rubylicious. Each to their own. That's ok, my style isn't going to appeal to everyone and I'm sure there are heaps of people who prefer a modern look or think that this isn't French, but that's ok, not I'm not sure what else you would call this style. It's what kitchen companies call French . I did enough research. thanks so much Clarissa. 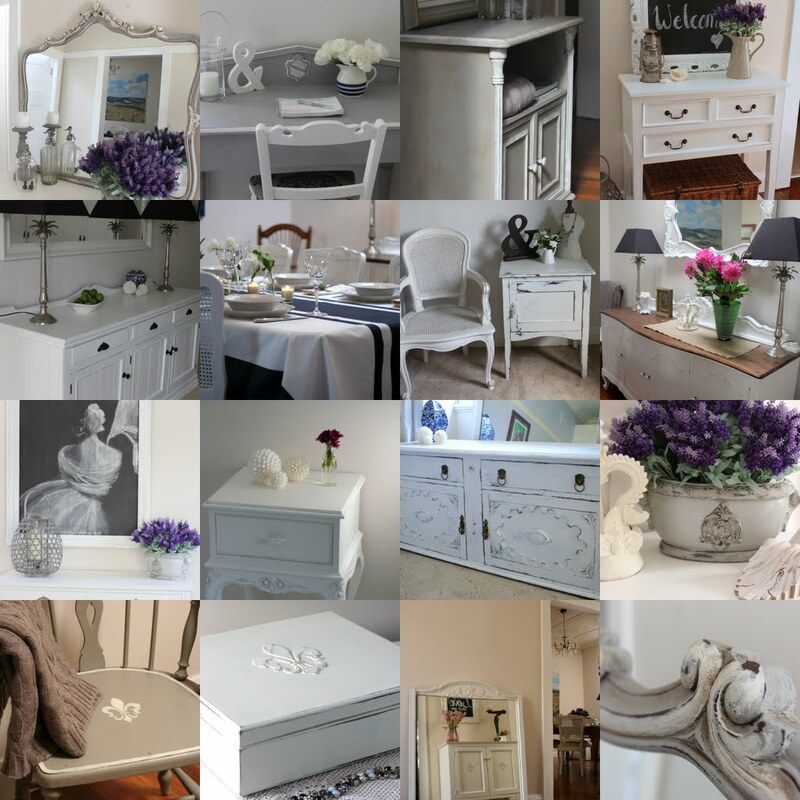 I really appreciate your support on my blog and painted furniture. thanks Alison, true convicts here! This is a fabulous post Fi. So beautiful to look at, but such a help and really valuable information and advice for anyone trying to build a bespoke kitchen without spending a fortune. Your kitchen is just stunning. I love the colour of the cabinets, your door profile, the handles, and that gorgeous sink, I can't believe is Ikea. 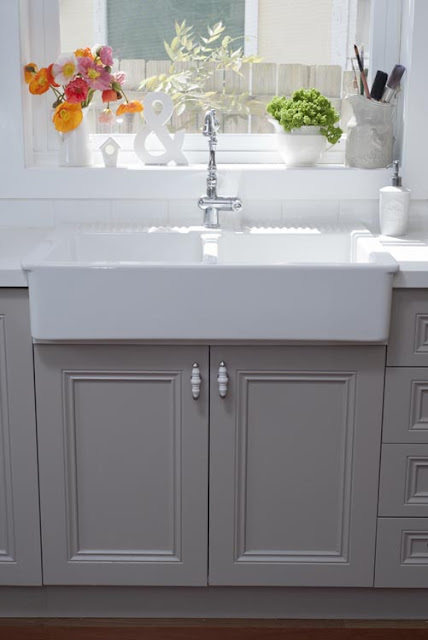 I wish I had done a butler's sink now, after I had one at my old house, but your looks gorgeous. And that fabulous shepherd's crook tapware, just stunning. Love love love, you clever girl! thanks Mel, I really wrote the post to show what's possible on a (limited) budget. yes $17K is still a fair whack but not compared to $45K. 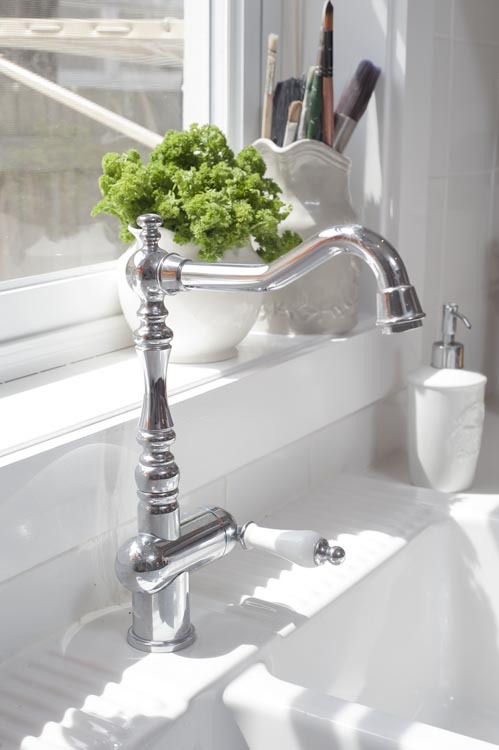 The tap is still one of my favourite things that I splurged on! WOW-that's amazing! I love that! The pantry is like my dream!! 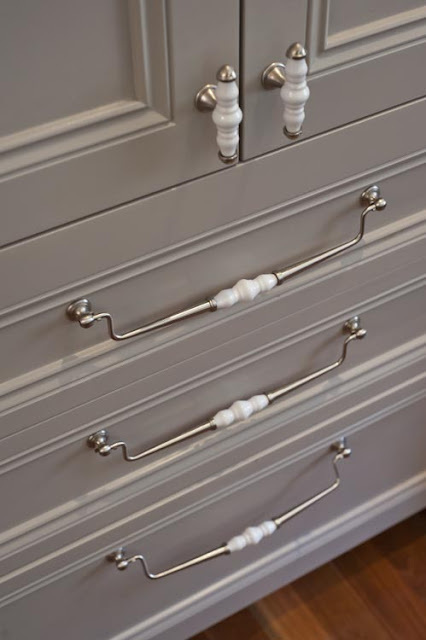 The drawers are such a great idea. All those hours and late nights and research paid off. thanks - it was a lot of hours! and yes the pantry was of my dreams also! Your kitchen is not only stunningly beautiful, it is so functional too! Thanks for such a detailed post with regards to designing yourself and the programs to use to make this design come to life. You are so clever! your kitchen is stunning! i love the cabinet color- just perfection! But perhaps not as tidy!! Thank you so much Fiona! This is tremendous- very similar dimensions to my reno- a 1940's home so not big either! my pleasure Keirin, glad to assist. good luck with your kitchen. this is a very functional beautiful kitchen. Looks beautiful to me. (and it looks FRENCH)! This is amazing! You did a fantastic job!! This is the kitchen of my dreams!! You did an amazing job;) Simply beautiful! thanks you so much Jenny - the kitchen of my dreams also! Thanks so much Chessa. It was a lot of hard work but so worth it in the end. Stunning is the most fitting word I can think of to describe your gorgeous kitchen. I love the custom cabinets - the color is perfect! The whole room has such a fresh look. I love it! thanks so much Chelsea - it's a whole lot better than it was before! That kitchen is so gorgeous! Great job! I love how clean and simple it looks. Absolutely gorgeous!!! I LOVE the warm gray you used on the cabinets... and your sink area is divine! I love white with brushed silver/nickel. :) Amazing job! This classic look will not outdate itself for many years to come! thank you Lindsey -i don't think it will date either -it's more timeless than stylish. I love the grey also. it's very peaceful to be in. Right now, my dear husband is sanding the wood floor in our kitchen. I live in the States, but we are also going for an Old World Euro look. It's my vision and no one else's! Thanks for some inspirational photos. I like that you stayed true to what you wanted and kept it all under budget. We're doing the same since our two offspring are in uni! Thanks Anna – I’ve just given it an extra big clean – although I should be at the beach or something as the weather is still gorgeous here in Sydney but feeling a tad tired after a cocktail party at my best friends last night. Those frozen margaritas are no good!! I hope you are having a lovely easter. Hi Fiona, love your kitchen. I live in Lilyfield as well...we are very lucky to live in this nice part of the world. Your post was very informative, thank you for sharing your knowledge. I'm in the process of updating my kitchen. 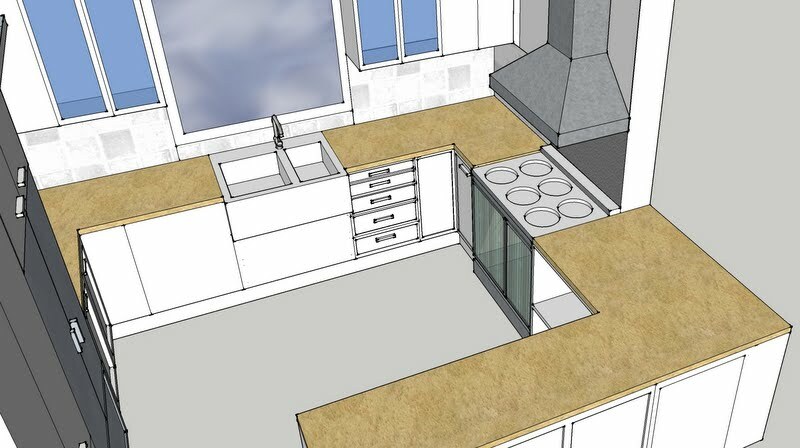 Am keeping the exiting layout and appliances and updating the cupboard doors and getting a study desk area built. I will definitely pursue Sydney kitchens for the doors. The desk area will be simple - just a long desk top and 2 drawer units separating 2 desk spaces. Are you able to share your cabinet maker (Reba) details. My hat goes off to you for painting your kitchen doors too! I am also building a similar desk area next to our kitchen once we renovate the back half of the house. Where in Lilyfield are you? It’s a great suburb isn’t it! Thanks Fiona. We live in (deleted for privacy). My youngest son is in year 10 and went to Orange grove for primary. I just got a quote back for $27k! So am looking at alternatives as its not being built from scratch. When we do go ahead....ill send a pic of the study joinery. I did get a designer to give me a plan of attack for colours etc. Great designing for your kitchen. Beautiful kitchen cabinets with full of food. Did you paint your cupboard doors yourself, and if so what primer, paint and technique did you use (brush or spray)? I am interested in replacing my cupboard doors and love the idea of using handpainted MDF fronts. hi Susanne, yes i painted the cabinetry myself. For the primer I used a water based Zinsser (forget which one but probably Covermore or something like that) and then for the colour I used a waterbased enamel called Taubmans water based enamel Trim (and the colour is Brisitsh Paints Colorbond Dune) - Australian products but i don't know where you live but i'm sure they will have similar products. I hand painted them. two coats of primer and then 2-3 coats of paint. sanding in between each coat. they have held up very well and it's almost 3 years since i did it. I love your kitchen. Could you please tell me the name of the coor you painted your cabinets? Thanks. I can surely title this article content as the best one ever written in catering equipment catering equipment ranges. It’s highly educating, informative and practical with its approach. All thanks goes to the writer. It looks beautiful, you have utilised your space really well. After looking at this kitchen I think I need to learn more about kitchen designs. I was looking for unique designs of classic style kitchens for my new home. Beautiful Kitchen!!! Thanks for sharing your post Fiona. Magnificent kitchen! I love your designs everything thank you for sharing..
You have made yourself a beautiful kitchen that you can extremely proud of. It is great to see a kitchen that has hours of devotion poured into it, even down to the kitchen sinks flowers and decorations. You are very wise to search around and compare prices and styles from different companies. Thank you for sharing all your pictures and blueprints to give us ideas. Again well done on your outstanding work and commitment. Great work Fiona, brilliant job. I agree with everyone else who said you should be proud of the end result. My Dad used to say 99%preparation and 1% application. Clearly your maxim as well, with all the prep work you did. We are moving into a 1910 Federation semi and want to do some work on the kitchen [amongst other things...] I have already been given the project to revitalise a wooden chest of drawers with waxed chalk paint - so learning quickly!! - We couldn't find your builder [Serenity] anywhere online, do you have a contact number? - Like Catherine, I'd also like to get hold of Reda [or Reba] can I grab his number also? - Would a chalk paint finish [waxed?] be robust enough for a kitchen door finish? We are looking at MDF that has a tongue & groove type of profile and are there any tips to colour matching and cover. making sure all doors have the same colour and coverage would be critical I would think. - The dishwasher looks like you've set it alongside the sink? I guess it won't fit under the sink. - do the pantry drawers work well after using them for the length of time you have? - Having lived in the kitchen, is there anything you'd change? Again great work and great blog. People do use chalk paint for kitchens. I personally am it sure if the durability of a waxed surface in the kitchen. 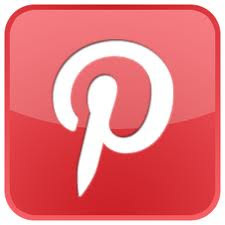 I would google 'Annie Sloan paint kitchen' and ask a blogger who has done this at least a year or more ago. You could also use lacquer over the paint instead of wax. My kitchen is painted with taubmans water based enamel. See my tutorials on my blog for tips on painting. You should not have trouble if you watch your brush strokes. The dishwasher is a Miele - no it wouldn't fit under any sink. But ergonomically I don't think you would want that as I stand at the sunk and load the dishwasher which you couldn't do if it was underneath. No I love it all still! 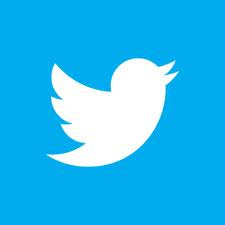 Thanks so much for your reply. Great feedback and email on it's way. Pleased to hear that your preparation and planning has paid dividends. If you'd change nothing you clearly put in the right amount oif thinking beforehand. hi Jenna -I have two tiny chips in it but that's after three years hard use. i think that's pretty good. i think any sinks would be the same. i still would buy another one. I love the paint colours! Can you tell me the colour you used for the walls and cabinets? Fantastic blog on your French kitchen project. I was intending to have my kitchen made in China to reduce costs. However, you have inspired me to build it here. Is it possible to have Reba's contact details? Apart from the kitchen, I also need bathroom cabinets and build in robes made. thank you Cheryl! good luck with it! Your kitchen is lovely. Could you please share your counter top choice and also your wall color? Thank you. Thank you so much for being so generous and inspirational. Have a great life! Hi Fiona I love your kitchen and am planning to do something similar. I just had a couple of questions. When you say that you wanted hand painted cabinetry and that you sourced your doors from Sydney Doors, did you paint the doors yourself? What else did you hand paint? Hi Fiona, having a bit of trouble getting on this site, Kylie. 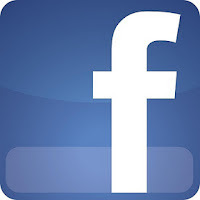 Hi Fiona, so found out it works for me through anonymous. I love your kitchen. You can tell you have put a lot of blood sweat and tears into it and its paid off. Ive also gone down the same route with the cabinet maker and his expertise in this particular style of kitchen is not huge so we have worked very closely together to make it work. We are at the state of choosing doors but the cabinets are in the process of being made. Suddenly instead of having my door finish in satin poly, Ive realised that I want hand painted MDF. How do I explain this to my cabinet maker and easy to confirm the doors like this but what else do I need to point out to him that needs to be hand painted i.e. spacers, rangehood skirting boards? Who do I get to paint it because you need to make sure you have a good paint job also (and it for sure wont be me as I don't trust myself with a whole kitchen). Please help!!! Regards, Kylie. hi Kylie - I would assume you just tell your cabinet maker that you want to hand paint your doors and that you want them MDF> I would suggest getting them spray primed as priming MDF is tricky and time consuming. Not impossibly but you need to do a lot of sanding on the edges to get them smooth. Spray priming will resolve this. Also if you want hand painting the primer , as MDF is so absorbent you need to water down the first coat of primer then sand then do a second primer coat. 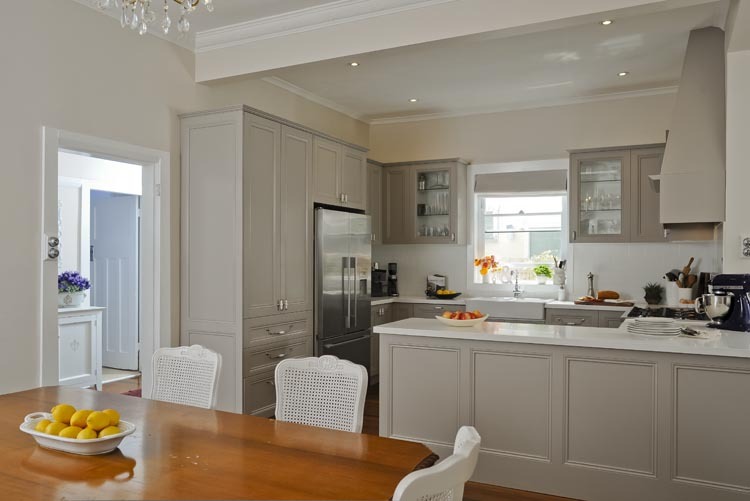 If you want your kitchen professionally painted there are companies who do this - they charge around $4000 for a kitchen this size or more. 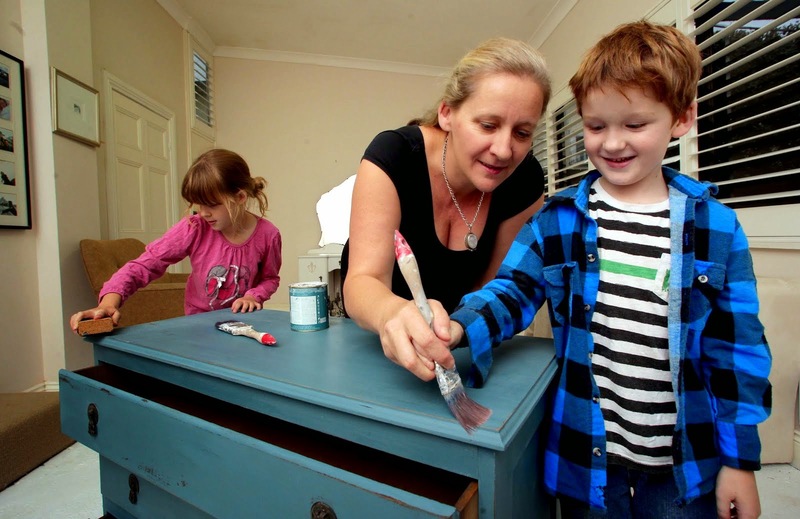 or just a regular house painter will also do it - probably similar amount of money. If you want a hand painted kitchen then everything you see needs to be handpainted - not just the doors or it will look weird with half poly and half handpainted. Hi there! Can you share your counter source? What type/color name? Thanks!